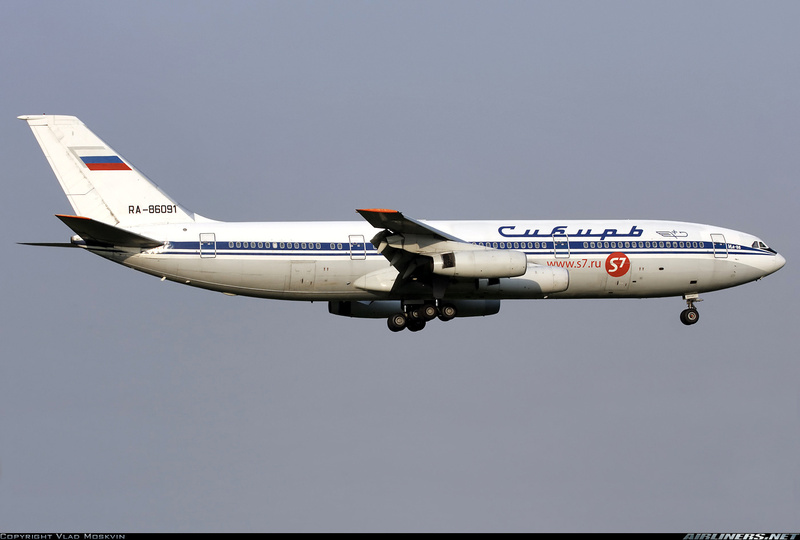 The Il-86 was the Soviet Union's first wide-body airliner. 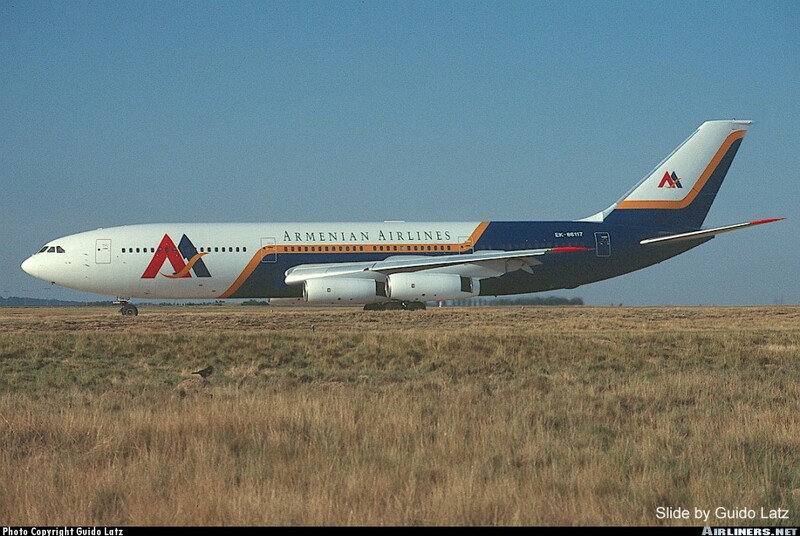 After a very extended development period, it finally entered into service late in 1980, ten years after comparable western widebody airliners. The Il-86 was a quantum leap beyond its predecessors; large, efficient and safe. Soviet designers avoided the need for expensive infrastructure such as boarding bridges by installing entry doors in the belly, with a staircase up to the passenger seating area. A concept for passenger baggage handling was developed; passengers would have been expected to bring their bagage to the aircraft and stow it themselves but in the event this was rarely used. 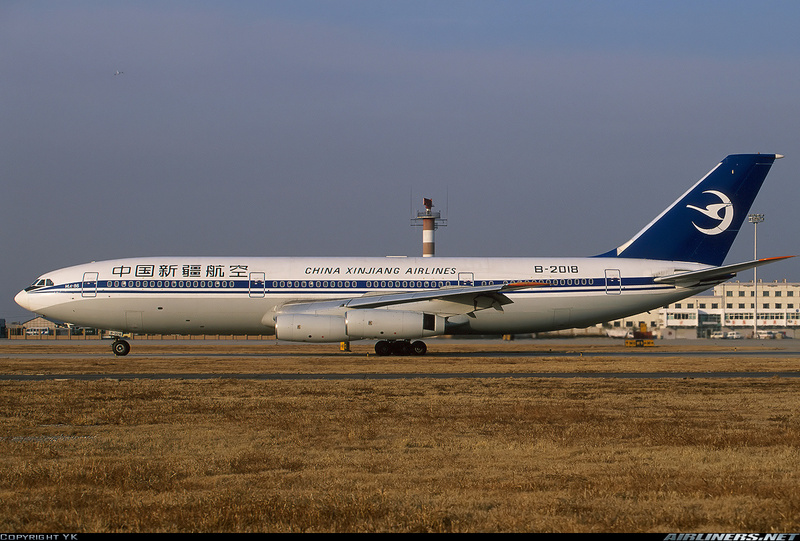 Only one IL-86 was ever involved in a fatal crash. By May of 2011 all civil Il-86s had been withdrawn from service, and only 4 remain serving with the Russian Air Force in an Airborne Command Post role. Revell's issue of this kit is in their familiar white plastic instead of Zvezda's light grey. The mouldings are crisp and clean, with very little flash and few sink marks. The panels are marked by fine scribed lines that are out of scale for 1/144 but will still look good under a coat of paint and will match up very nicely. The plastic has Zvezda's trademark slightly pebbly texture which can be polished out, but which will disappear under the primer paint. The fuselage is two halves from nose to tail. The cabin windows are open, with clear parts provided for them. The cockpit windows are the old-fashioned Airfix style strip, which makes getting them to fit properly without either breaking or faling into the fuselage something of a challenge. The panel lines are nicely engraved and match up well. The APU exhaust is left open, which means that one may look right through the fuselage and out the cockpit windows. It should be filled with a small blocked off piece of tube to prevent the see-through effect. If the windows are left open, the interior should be painted black to prevent the model from looking toy-like. There is no cockpit bulkhead to help confine the nose weight. Revell calls for 10g of nose weight. The nose and centre main gear wells must be inserted before the fuselage is closed. The instructions call for the struts to be installed before closing the fuselage. This will expose the struts to damage during the rest of construction. There's not much than may be done for the centre strut, but the nose strut is in 2 halves, and the lower portion may be left off until later, which affords it some protection. The lower fuselage to wing area is provided as a seperate part. Take care to get it properly alligned to avoid the necessity for sanding near the centre gear strut. The tailplanes are two piece mouldings that have two very small stubs as mounting surfaces. They may benefit from drilling out and replacing them with pins. Leave them off until final assembly to facilitate painting and decalling. The engines are moulded in two halves which trap the intake fan and exhaust disk. The intakes are quite simplified compared to the real thing. Resin replacements are available from Frsin, Bra.Z or Pas should you wish to add a little detail in this area. The engine halves are handed, so pay particular attention to the instructions, otherwise you'll end up with improperly located thrust reverser cascades. Ask me how I found this out. The landing gear struts and wheels are finely moulded and nicely detailed. The main struts have supplemental strut detail which mounts onto the main struts before the wheels are installed. The nose strut has seperate shimmy dampers. They could use some brake lines and whatever else the modeller likes, but will look good without them. The wheels themselves are properly thick and the detail moulded into the hubs is very good.There is an option for raised gear, but Revell did not include Zvezda's traditional stand. As with all 1/144 kits, the gear doors are overly thick and may be replaced if the modeller wishes although Zvezda made an effort to get the edges thin. The decal sheet is where this release shines. The sheet is almost as large as the box, and it's crammed full of colourful markings. Unlike Zvezda's boring 1980s Aeroflot scheme, Revell provides markings for Armavia/Armenian Airlines (2 variations), China Xinjiang Airlines (with 2 different tail options) and S7-Siberian Airlines (In the basic Aeroflot blue stripes before their green scheme became current). The decal was designed by DACO products, and includes a wealth of stencils and 2 complete sets of cabin windows in 2 different patterns. Highs: Delicate parts with a lot of detail for 1/144 scale. Superb decals; no need for aftermarket here. Lows: Delicate parts mean that they can easily be broken or lost. Engines could be more detailed. Verdict: This is the only Il-86 in this scale to get. It's a state of the art kit that will be a pleasure to build.